We are back with another amazing course that will take your basic coding skills to next level. 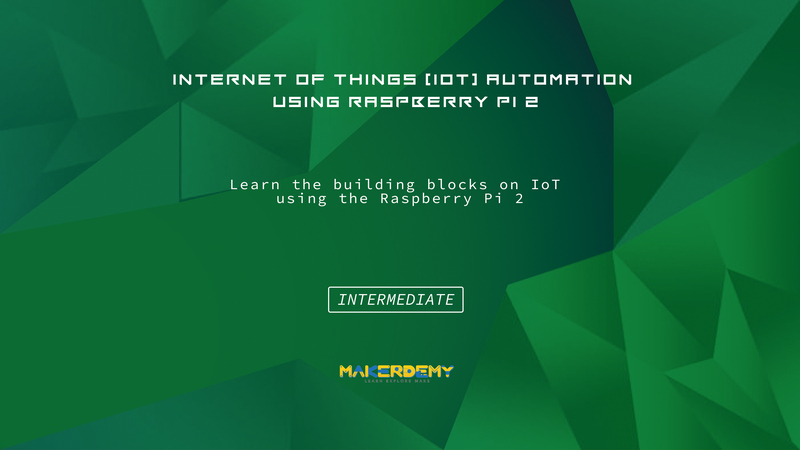 Internet of Things Automation using Raspberry Pi 2 is ideal for those who are interested in exploring the possibilities of IoT using Raspberry Pi 2. The course assumes basic knowledge of computer hardware and software. However, knowledge of Python programming will help you in getting up to speed. You will learn how to connect multiples of DS18B20 waterproof sensors to GPIO pins of Raspberry Pi and access the raw temperature via Linux command. You will code the sensors to display the temperature automatically and also get notified via email alert when the temperature crosses a certain limit. Implementation of IoT through Python programming will make the device remotely accessible. If you are a technology enthusiast and want to learn the cutting edge technology then this is the right course for you. Finally, you will learn how to connect multiples sensors to an open source cloud and access the updated temperature through a web portal dashboard. By the end of this course, you will have a firm foundation on Internet of Things using Raspberry Pi 2. You can build own IoT controlled devices.